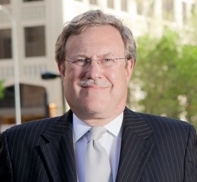 GableGotwals attorney Graydon D. Luthey, Jr., recently spoke at the 2014 American Bar Association’s Gaming Law Minefield Institute. His presentation centered around Gaming in Indian Country: The Lingering Impact of the Supreme Court’s Carcieri Decision, Pending Litigation Trends and Bond Disputes. The talked included an overview of the current state of gaming, the Carcieri decision’s impact, current litigation trends and bond disputes affect on the continued expansion of gaming in Indian Country. The Institute was co-sponsored by the National Indian Gaming Association and National Native American Bar Association.